What the appointment of LGBTQ-friendly Scaramucci means for the White House. The appointment of Anthony Scaramucci as White House communications director introduces a weird and interesting wrinkle into Donald Trump’s sporadic efforts to position himself as a champion of gay rights. It could also be an indication that the administration’s social conservatives, led by Vice President Mike Pence, will see themselves increasingly marginalized. It’s easy to forget now, but at certain points during the 2016 campaign, Trump presented himself as more LGBTQ-friendly than Hillary Clinton. Following the Pulse shooting in June 2016, Trump tweeted: “Thank you to the LGBT community! I will fight for you while Hillary brings in more people that will threaten your freedoms and beliefs.” A few months later, he held up an upside-down rainbow flag that read “LGBTs for TRUMP” at an event. He declared that transgender people should “use the bathroom they feel is appropriate” and said that Caitlyn Jenner could use whatever bathroom she preferred at Trump Tower. And he had his friend Peter Thiel speak at the GOP convention. None of this was particularly surprising, since Trump seems to hold no clear personal animus toward LGBTQ people and professed his support for gay rights laws as early as 2000. But after his November victory, Trump outsourced many personnel decisions to the Republican Party and Vice President Pence. An outspoken evangelical conservative, Pence stacked the transition team with anti-LGBTQ zealots (and Thiel, probably to appease Trump). When Trump began appointing White House advisers like Steve Bannon and cabinet members like Jeff Sessions, it became clear that an aversion to LGBTQ rights would not be disqualifying in this administration. HRC is actively engaging top-tier global business leaders and industry influencers in its campaign to change hearts and minds worldwide. As corporate leaders we have the responsibility to support this movement; stand up for inclusion; and foster an organizational culture that reinforces the basic inalienable, democratic rights of life, liberty and the pursuit of happiness. “We don’t want to be on the wrong side of history,” Scaramucci explained to the Huffington Post. He later invited Caitlyn Jenner to SALT, his hedge fund conference in Las Vegas. 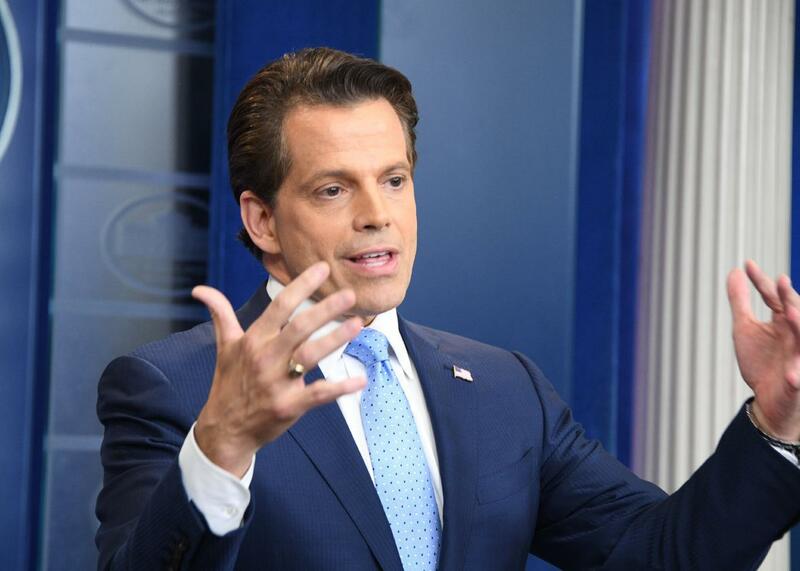 In January, the Washington Post reported that Trump had picked Scaramucci to lead the Office of Public Engagement and Intergovernmental Affairs, a position previously held by Valerie Jarrett. This speculation spooked Christian conservatives, and Republican operatives—including, allegedly, Sean Spicer—blocked the appointment. Scaramucci’s gay rights record wasn’t the only impediment to a White House job, but it couldn’t have endeared him to the pack of anti-LGBTQ ideologues with whom Trump was now surrounded. Since then, the Trump administration has been about as anti-LGBTQ as you’d expect given its personnel, revoking transgender bathroom protections and appointing anti-gay judges to the federal bench. Trump has, however, refrained from issuing an anti-LGBTQ “religious liberty” executive order that sharply restricts the rights of gender and sexual minorities. Ivanka Trump and Jared Kushner allegedly quashed the order behind the scenes—a major loss for the Pence faction. In the spring, Pence reportedly pressured Trump to issue a revised “religious liberty” order, once again to no avail. Scaramucci’s sudden reemergence marks yet another blow to Pence. It makes sense that, according to Politico, Scaramucci had the backing of Ivanka, Kushner, National Economic Council Director Gary Cohn, and Deputy National Security Adviser Dina Powell—the administration’s social moderates and “globalist cucks.” It is also unsurprising that Scaramucci is apparently being groomed to replace Reince Priebus as chief of staff: The brash financier is much more Trump’s speed that the milquetoast social conservative. Of course, Scaramucci’s presence does not mean the White House will suddenly strike a pro-gay, pro-trans stance. Trump’s judicial nominees, which are managed by the Heritage Foundation and Federalist Society, will remain anti-LGBTQ, as will his cabinet appointees. But Scaramucci’s appointment is further proof that Pence and his allies have been pushed aside in this administration. Pence came to Washington to fight culture wars. And Trump just hired a man from the other side of the trenches.